Very nice macros. I recognize them all, I think, except the top one. A fun guessing game for gardeners! Aren't they just gorgeous? The orange color one is so vibrant, and I like them all! 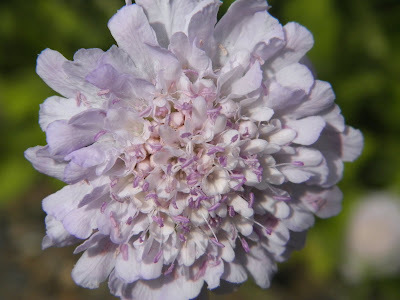 Super photos wspecially the scabious which was my Mum's favourite. Another lovely collection of flowers. thanks for sharing. Gorgeous flowers and colors. Love the pretty orange. These are all wonderful shots of the beautiful full flowers. Powerful flowers. I really like the one with white petals and yellow center. Wondered if the white poppy was a Matilija, native in CA . PS: What neat macros of your blooms today. 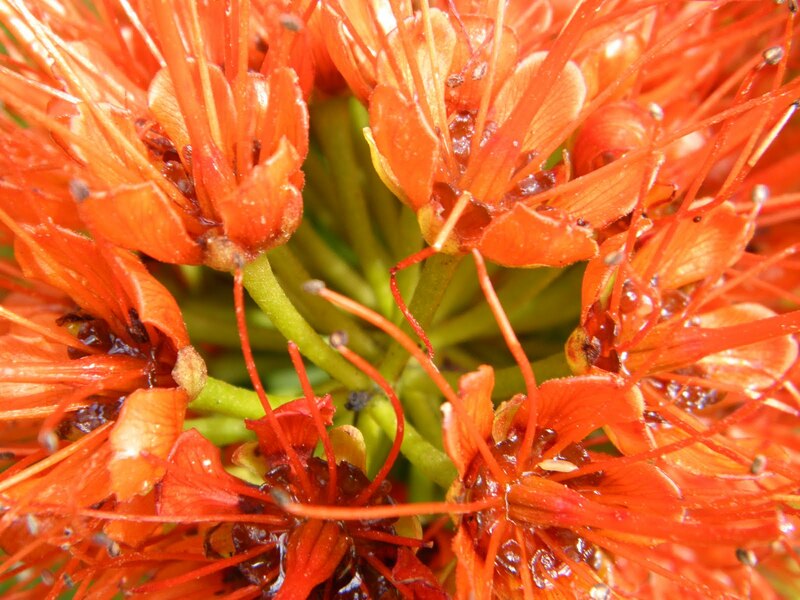 Beautiful series of macros, what an amazing color on the first flower photo. Your macros are amazing, Joanne! Thanks for visiting my blog, you are always welcome. Wow beautiful super macro shots. I am curious what lens are you using? ^)^ Happy Sunday! Sara, sometimes it's a guessing game for me too, I'm still learning all the names. Thanks so much for stopping by. Thanks, Icy. I like the exotic look of the orange one. Thank you so much, Ruthi. Eileen, thank you for visiting and commenting. Carver, thanks for visiting, very much appreciated. Marilyn, I loved those columbines and thanks for stopping over and commenting. Leora, That is a favorite of mine as well. Thank you. Prairie, I took that shot in the native California plants area of the gardens so it could very well be. I forgot to jot down the name. Thanks. Thank you so much, fishing guy. KaHolly, I so agree with you that seeing them through a macro lens opens up a whole new world. Thanks so much for coming by and I'll see you again soon. maiaT, thank you so much for your kind words. Rosemaria, thank YOU and nice seeing you here. I will see you again very soon. Manang Kim, Thank you I'm using the Olympus SP-600UZ 12MP Digital Camera with 15x Wide Angle Dual Image Stabilized Zoom and 2.7 inch LCD I have the widget on my sidebar if you'd like to learn more. Have a fantastic week ahead and I'll see you again on the weekend. Beautiful flowers. I really like the white one with the yellow center. Lovely blooms. And my favourite is the first one. Great macro shots. Love all your pictures. Beautiful, Jo...I think I recognize the third one from our windy day at the Palace of the Legion of Honor. Great macros! 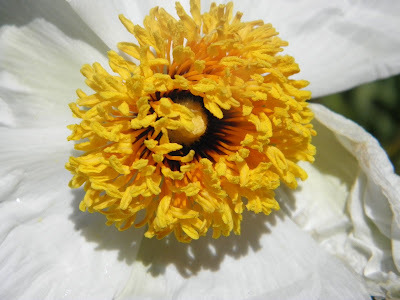 I love that matilija poppy, called also "fried egg". Ann, yeah I like that one too, it's like a burst of sunshine, thank you. eden, thanks so much for your kind words. Very much appreciated. Carmen, These were actually all taken at the Botanical Gardens. Most of the ones around the legion of honor that I took came out blurry. I think it was too windy. Thanks so much Gill for stopping by and commenting. A lovely variety for today's flowers! Lily, Thanks so much and I really appreciate your stopping by. 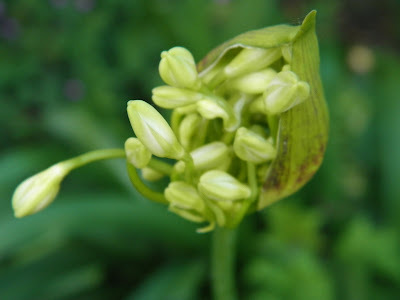 Could the first one be a honeysuckle? Mine is a climbing vine and its the same color. The last purple flower is also beautiful. I tried to grow them but was never successful. Just cant remember the name. Anyway great shots of all 3. Thanks for sharing. A2Z, You know, I'm not sure what the first one is, I didn't jot down the name. These were all taken at the San Francisco Botanical Gardens, where I spend much of my time :) The one you are referring to is a poppy and native to California. Thanks so much for visiting and commenting. Fascinating macros - the detail is terrific and so often not even noticed without macro photography. I enjoyed your newer posts too - the bus shelter is wonderful :-) The strange flowers are just that - but such architectural beauties. jabblog, Thank you. The bus shelter is very unique even for San Francisco, that's why I got a photo of it. lina, Isn't it though, I love that one too, Thanks so much for visiting.